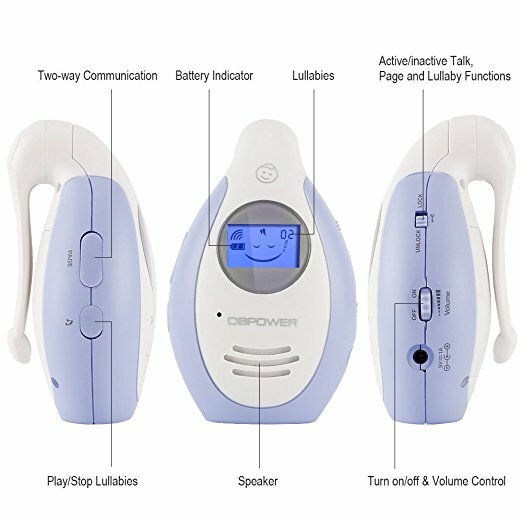 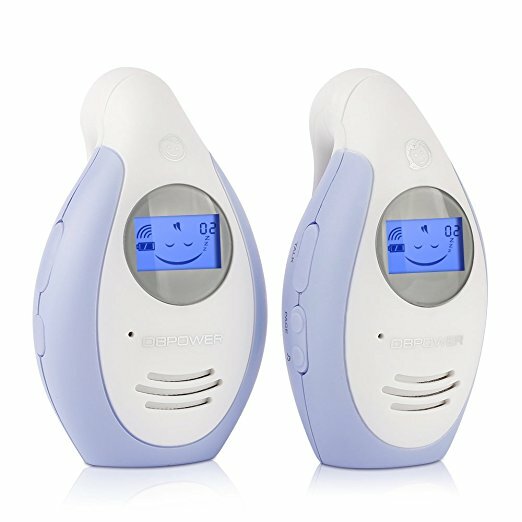 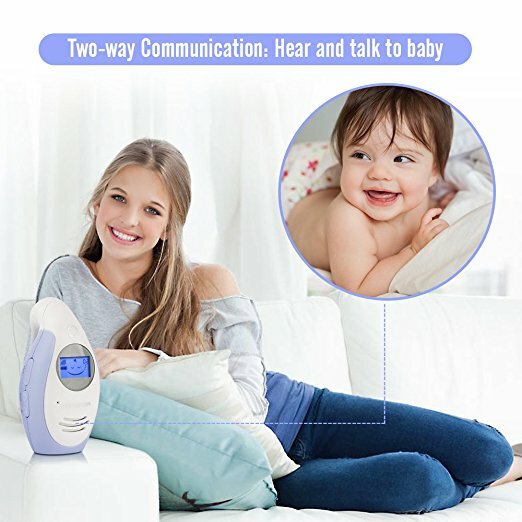 TWO-WAY, TALK-BACK INTERCOM: The system allows you to communicate with your baby and soothe your newborn’s distress with the sound of your voice from another room. 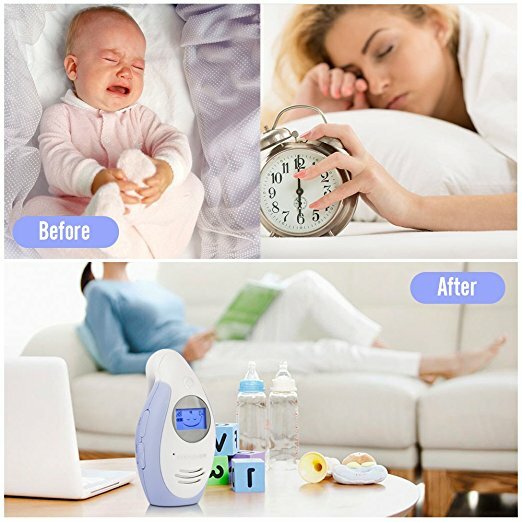 LULLABY PLAYING FUNCTION: Lull your baby to sleep with one of 6 polyphonic lullabies or comfort him/her when he/she wakes up. 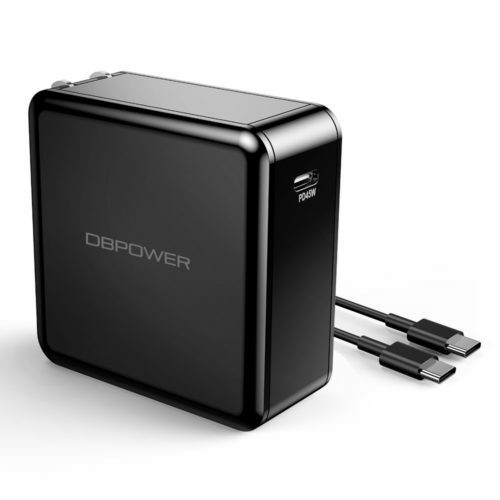 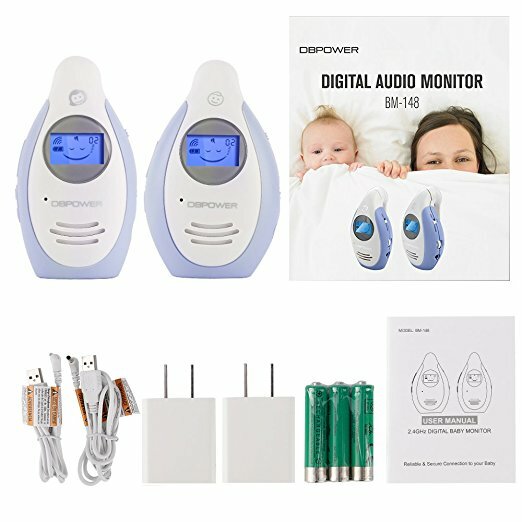 The DBPOWER Digital Audio Baby Monitor means you are always connected with your little one with it. 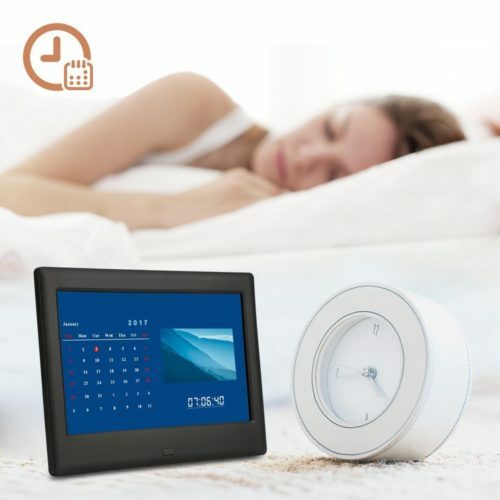 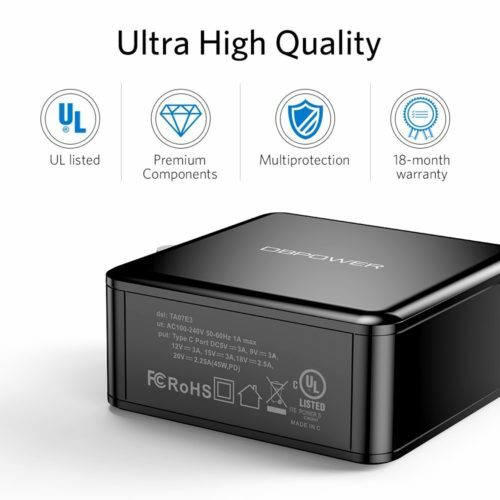 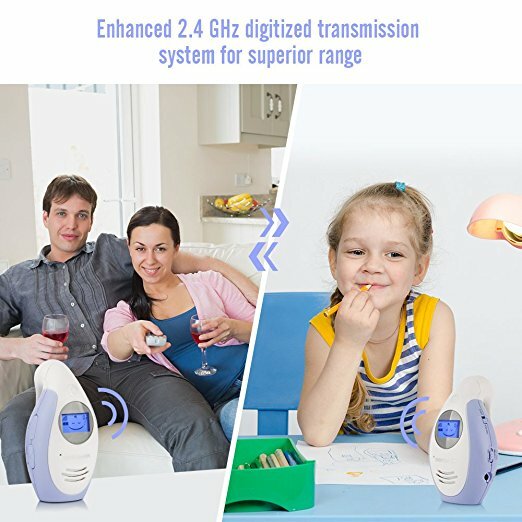 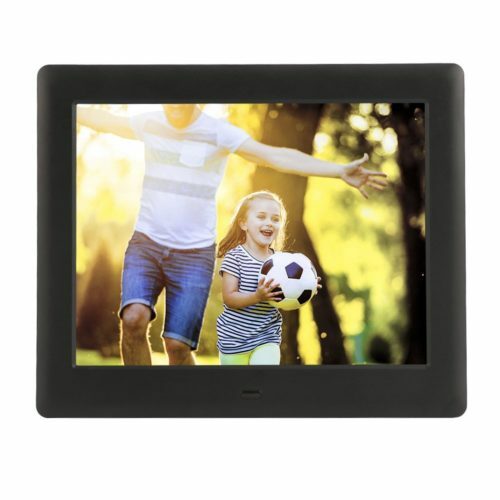 This digital baby monitor uses encrypted 2.4GHz technology to ensure your transmission is protected against interference and eavesdropping. 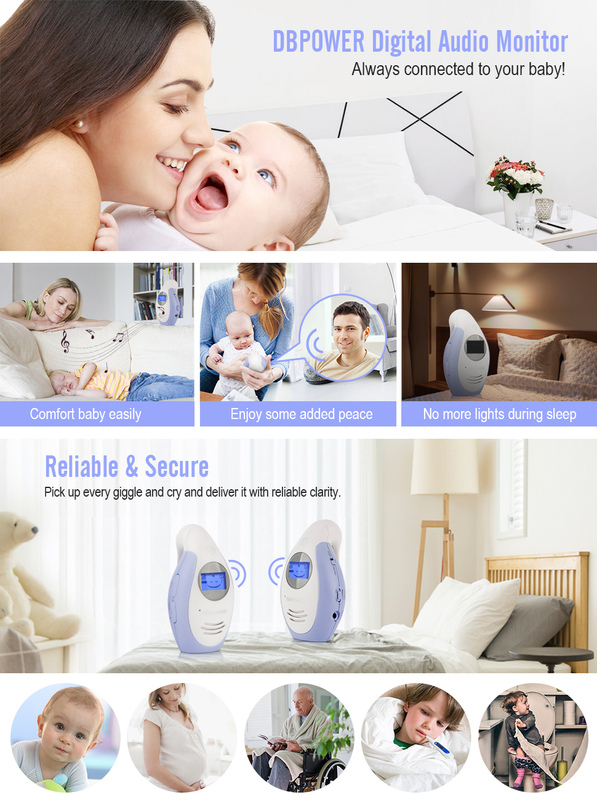 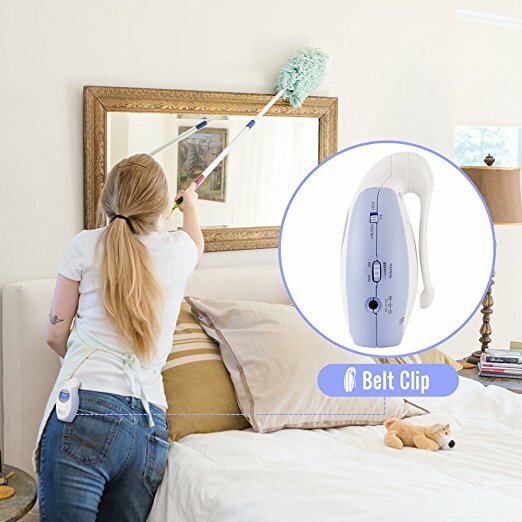 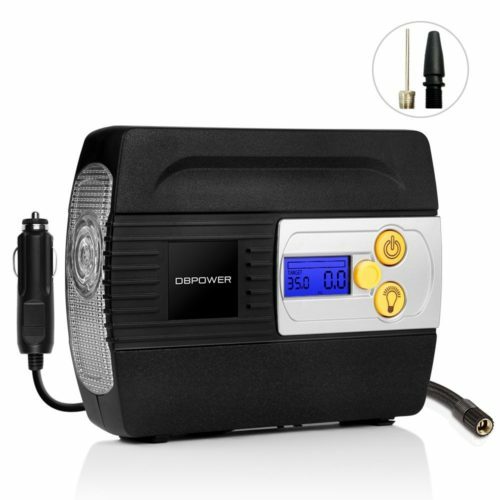 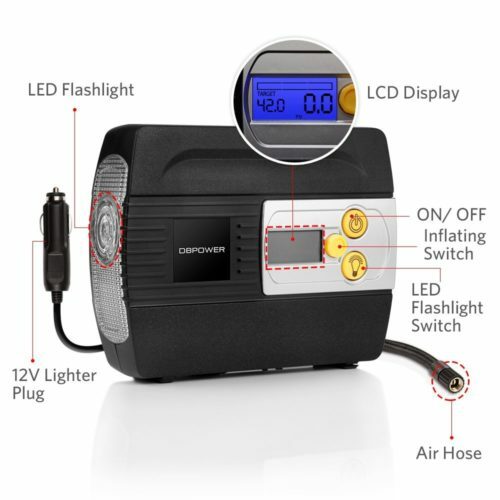 Plus, it features a two-way, talk-back intercom with up to 1,000 feet in range (unobstructed), so you can talk and soothe your child from anywhere in your home.